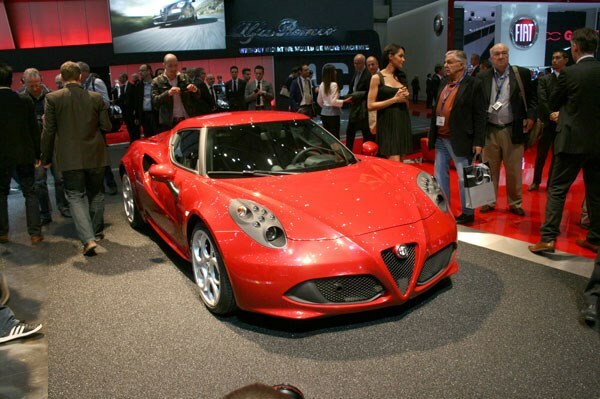 Two years ago at Geneva Alfa Romeo unveiled its star of the show, the 4C Concept, and we all whooped and cheered. This year at Geneva Motor Show, it'll be Groundhog Day. A cover will be pulled off and we'll all whoop and cheer at the sight of a production car called the 4C. What we know now are a few more concrete details about the car. First of all, the car won't be made of concrete. It'll be made entirely of carbon fibre to keep the weight down. Under the bonnet there'll be a 1,750cc 240bhp turbocharged four-cylinder petrol engine capable of propelling the 4C from 0-62mph in around 4.6 seconds. It'll have a twin clutch, automatic gearbox with paddleshifts mounted behind the steering wheel and it'll also feature Alfa's ‘DNA’ system that has Dynamic, Natural and All-weather modes. There'll also be a ‘Race’ setting for general track day lunacy. It'll probably handle like a Lotus Elise, but the downside will be a monster starting price of around £36k. Hardly a bargain then. We also expect the established motoring press to ask the rather predictable question 'is it better than a Cayman?' before concluding that it isn't. For more details on the Alfa Romeo 4C, click here.